ADFIAP’s Asia-Pacific Institute of Development Finance (IDF) conducted its 5th run of the International Seminar-Workshop on Key Performance Indicators (KPIs): Measuring Performance and Impact of Development Finance Institutions (DFIs) on September 5-9, 2011 at the Asian Institute of Management conference center in Manila, Philippines. 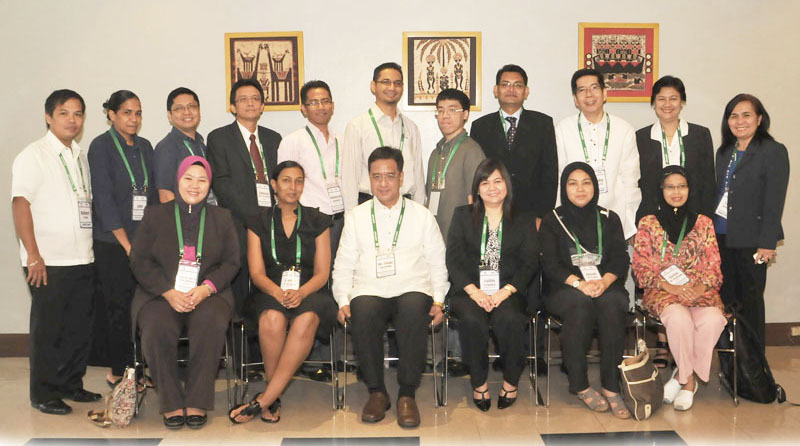 Twelve (12) participants from ADFIAP member-institutions and other financial institutions in the American Samoa, Bangladesh, Malaysia, the Philippines, South Africa, and Vanuatu attended the event. The program introduced to the participants the coverage and use of the “KPIs for DFIs Manual” developed by ADFIAP to measure the performance and development impact of DFIs using a framework that not only considers financial but also economic, social, environmental and governance performance. Topics also included accountability of DFIs to the State under a good governance framework for state-owned enterprises, presentation of a case study and template for performance of SME banks, efficiency of DFI operations, and foundation in sustainability reporting. The seminar also afforded the participants to visit Planters Development Bank (PDB) and the Development Bank of the Philippines (DBP) and learned first hand how the two ADFIAP member-institutions measure and benchmark their performance. The 5-day event was formally opened by ADFIAP Secretary General, Mr. Octavio B. Peralta. The main resource person was Dr. Cesar Saldaña, ADFIAP adviser on governance and risk management, who formulated and helped develop the manual for ADFIAP. Mr. Enrique Florencio, ADFIAP Head of Knowledge Management Unit, handled the session on sustainability reporting.